This is long overdue, but this past August I attended Campus Party Berlin and in October I participated in the Reykjavik Music Hack Day in Iceland. It was my first visit to Berlin and I’d also never been to Iceland before – and late October is not really the best time of year for a visit – but I loved it and can’t wait to go back to both places. Campus Party was a weird experience. It’s an overgrown LAN party that has turned into a conference. My strongest associations with LAN parties are from high school where my male friends would hold 24 hour LAN parties at each other’s houses playing various video games in their parents’ basements. Girls were explicitly not allowed to attend and were never invited to play. Campus Party wasn’t a a complete throwback to those days and the organizers had tried to better accommodate a variety of participants. Though I know the intentions were good, the execution was just awful. Leading a Codasign Arduino workshop at Campus Party. 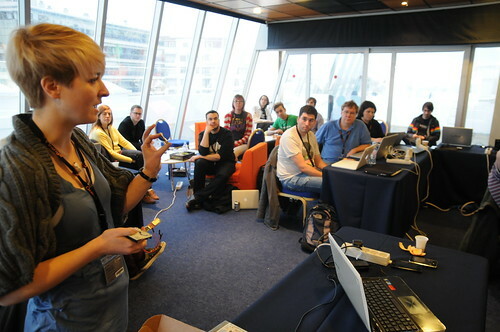 I attended Campus Party to lead a workshop on Arduino and to give a talk. The workshop was meant to be for 20 and ended up with about 60, but everyone had a good time and I hoped learned a bit. When I proposed to give a talk, I was asked to give it on the “Women in Tech Day”. I was a bit confused as I didn’t propose a talk that had anything to do with gender, but it was clarified that they were trying to fill all the parallel stages with women speakers on the same day. I know they were trying to increase visibility, but it ended up creating a ghetto. As a result, there were almost no women speaking the rest of the week and I had to miss several other women speakers because of my own talk. I even missed the networking event set up by the Berlin Geekettes as it was away from the venue and against my speaking slot (meaning also that most women went to that event and not my talk). I know it was an attempt to increase the visibility of women in tech, but I think it ended up worse than if they hadn’t bothered at all. During Campus Party Soundcloud hosted an Audio Hack Day. It was very small, just 11 hacks, but that was nice change from the huge attendance of most Music Hack Days. After the hack presentations there was a Q&A session for the audience and hackers to discuss the hacks in more detail while the judges deliberated. I made a doorbell that plays a different doorbell sound from Freesound (and thanks MTG for the headphones!). The full hack listing is up on github along with the code. 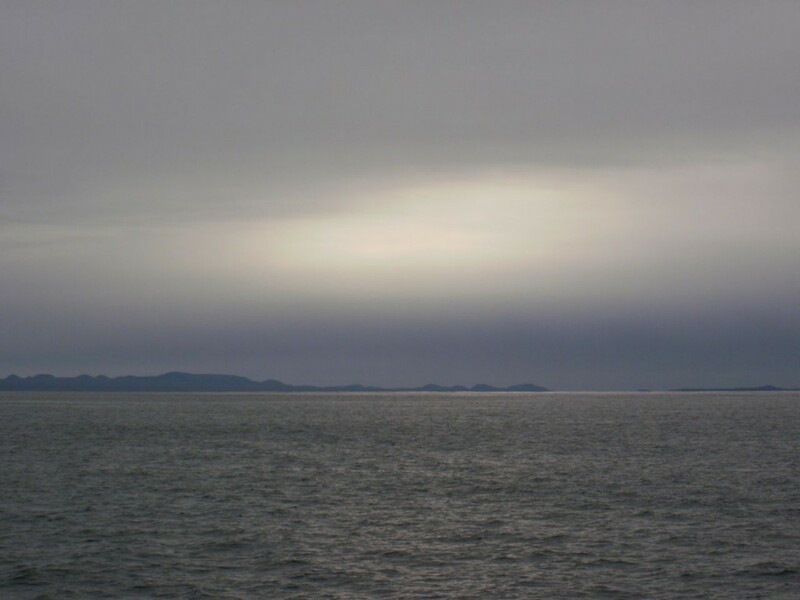 View from the whale watching boat outside Reykjavik. The Iceland Music Hack Day was one of the best organized hack days I’ve ever attended. Much credit to the organizing team! The hack was located in a local university which also hosts a hack space in the basement, Hakkavelin. Having a hack space and its facilities so close to the hack day was great and gave physical hacking a much bigger presence than it would have otherwise had. My team for my hack ended up including two lovely lads from the hack space – Gummi and Jason. 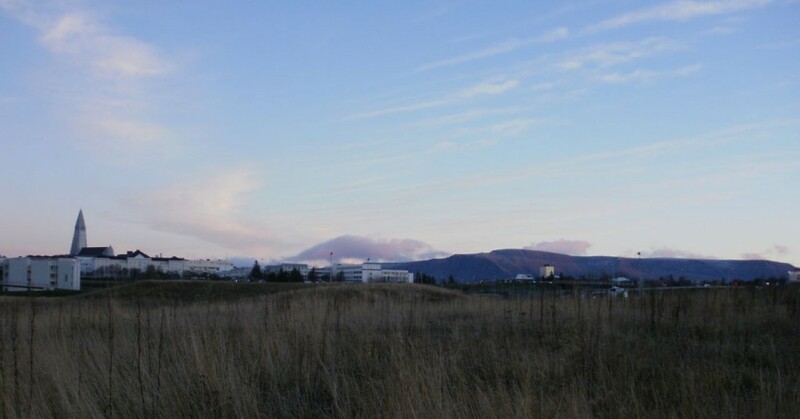 Reykjavik viewed from the walk to Reykjavik University. I brought along something like 30m of digitally addressable RGB LED strips leftover from a previous project. Each LED can be programmed and controlled individually to be any color. I didn’t have grand plans for them when I arrived, but inspiration struck for our team when we combined the LEDs with a coat rack (and we weren’t the only coat-rack-hack). Testing LED Display from Becky Stewart on Vimeo. We created a makeshift LED panel by draping and taping the LED strips onto the coat rack and diffusing the light with napkins from the breakfast buffet. We then controlled what the lights displayed via Processing and an Arduino communicating over serial. I wrote a little Processing sketch that queried The Echo Nest for artist images and then let you browse them and select one. It then was sampled to fit on the “digital poster” of LEDs. There were a couple issues that could have been sorted with a bit more time, but we found a compelling demo image and it was good enough. The displayed images consistently came out too red. I think this could have be calibrated into submission, but the sampling method I implemented was incredibly simple. I think just a touch more sophistication in the algorithm would have gone far. But Dark Side of the Moon saved the day. Wallify – Music Hack Day Iceland 2012 Hack from Becky Stewart on Vimeo. This past weekend I participated in a Music Hack Day-esque event. It’s not quite a regular hack day as it is not an open invitation – you have to apply and have attended a hack day before. It’s because it’s a higher pressure event and you’re expected to output a quality hack with a good demo by the end of it for the music business conference attendees. The hack day is also much smaller – 30 people instead of 100+. The result was that it was easier to meet the other hackers and the demonstrations went just amazingly well. Everyone was well spoken and gave a clean demo. I worked with Suzie Blackman to produce Badgify. It was an Arduino and Android hack inspired by an Internet of Things approach. There are many ways to broadcast what you are listening to: Spotify, Last.fm, Facebook, This Is My Jam, and so on. But all of those services require online connectivity for others to learn what music you are listening to. Our hack lets you share what you are listening to with others in the same physical space as you. Using Bluetooth, your Android phone can communicate with a LCD screen “badge” that you can pin on your coat or bag. It displays the artist you most recently listened to (and scrobbled to Last.fm). Below is the video of our presentation and a video of the badge and app in action. Our presentation is about 37 minutes in. The hacks have also picked up a little bit of press. I’m really glad I attended. Last year’s event was the first MIDEM Hack Day and it was invite-only; there wasn’t an application process. I was vocal in my disappointment in conducting an event this way and was happy that an open application process was adopted for this year. I wholeheartedly encourage you to apply next year.